NOT EVERYTHING YOU SEE YOU MUST PURCHASE. 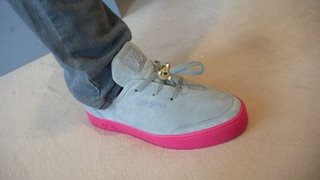 : Kanye West's New Louis V shoes!!!! 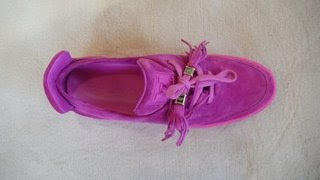 Kanye West's New Louis V shoes!!!! oh euw! I'm sorry. The color is atrocious. I think perhaps I was just expecting something more wearable. I'm not sure I am very inspired by the shape of the shoe. Maybe it's because I'm just not a sneaker girl. lol! I agree to a certain point, but I do like the pink they look nicer in real life, dunno if I would wear a pair yet maybe if I try a pair on dunno!!! Hmmmmmm....... Not too sure about these Yeezy! 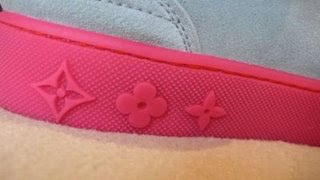 Albeit I have to see it on a female's feet to get the full effect, I don't see anything feminine or cute about these, other than the pink color... but even then... I don't know... By the way... the Air Yeezy are crazy... Glow In The Dark dude! The grey with the piny sole are hot. The pink on pink are not. It makes them look like wack copies of AF1'S.